On what would've been my grandmother's 91st birthday, I wanted to share some photos that I saw for the first time at her funeral. With my grandfather. Wasn't he dashing? 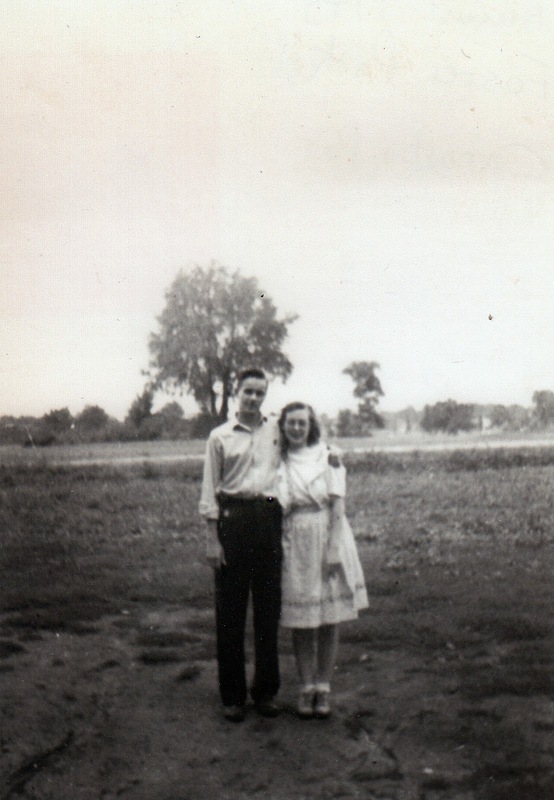 Someone wrote on the back of this photo that it was taken in August 1943, at Foster Park. She would've been twenty. I remember spending some time in this park during my high school years...how it's changed! This is my favorite photo ever of my grandmother and I'm so sad I never saw it until her sister brought it for the slideshow at her funeral. 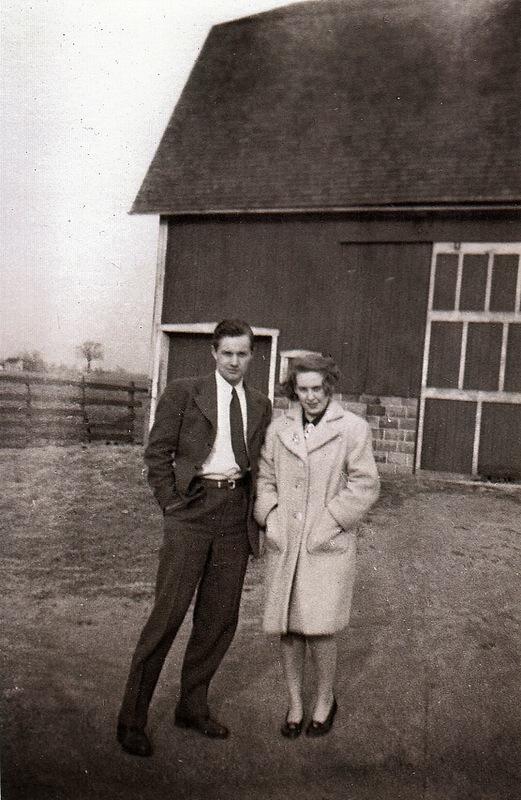 My grandmother was quite the woman about town in her young years and would tell stories about how she would go to the various dance halls with my grandfather and their friends. I loved to talk to her about what it was like growing up in the 1920s, 1930s and 1940s and I so wish she was still here so I could ask her about this photograph. She used to always show me old photos she would find at my uncle's house and it was always fascinating to learn who these people were and the stories behind the photos. My grandma looks so happy and full of life in the photo above and that's how I want to remember her. Your grandma seems like she was a wonderful person! I love looking at the old photographs of my family--doing so gives me a completely new perspective on them! She is lovely. I love looking at my grandparents old photos. I don't think that we have any now that they are gone. ;( I am planning to visit my grandmother at the end of June for her birthday. We have so many old photos of family - it's incredible that they have all survived. I know who some of the people are, but I wish I knew all of them. I know! 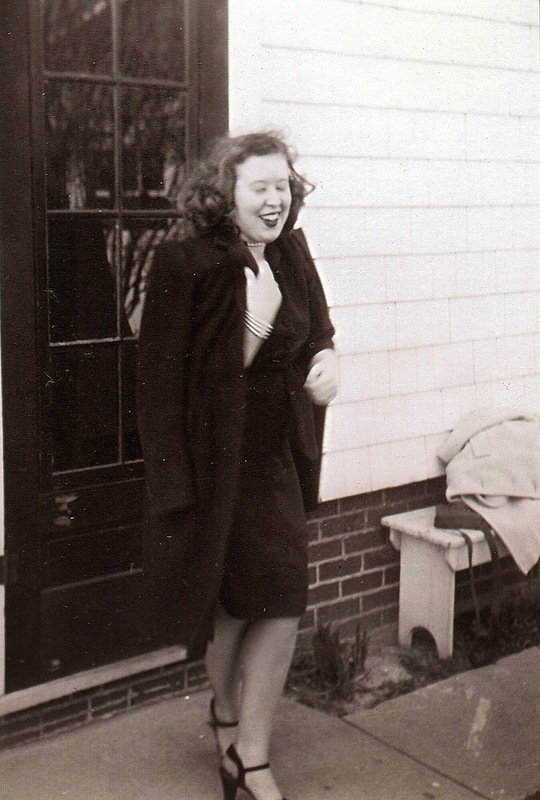 I loved talking to her about life when she was young, but when I look at photos like my favorite one above, I sometimes feel like I never knew her because it's so hard to imagine grandma as a young woman. I love old family photos like this... So beautiful, so lovely.....just capture a different time. Your grandmother seems like a beautiful, wonderful person. Such a beautiful lady. All of these photographs are wonderful. You can tell that she was full of life. Thank you. She was very boisterous and loved to talk. She was always the life of the party.